Until the terrorist attack at a market in southern France on March 23, French President Emmanuel Macron had been planning to launch a new European-level political campaign. Though the official rollout has now been postponed, Macron’s latest project remains central to his presidency and to his conception of power. Macron’s “La Grande Marche pour l’Europe” will mimic the program that toppled France’s dominant political parties and transformed his La République En Marche ! movement into a political force in 2017. Over the course of six weeks, he will dispatch ten ministers and 200 parliamentarians to survey the French people’s views on Europe and European issues. The results will then be considered in developing a platform that can beat populist and Euroskeptic parties in the 2019 European Parliament election. Macron has persuaded all other EU member states (with the exception of Hungary and the United Kingdom) to conduct similar public consultations, which he hopes will lay the groundwork for the EU-level reforms he proposed in major speeches in Athens and at the Sorbonne last year. To understand the full scope of Macron’s ambitions, we should consider the principles that underpin his worldview and guide his approach to politics. Few are better acquainted with Macron’s thinking than French historian and philosopher François Dosse. Dosse not only taught Macron at Sciences Po in the late 1990s, but also introduced him to his intellectual mentor, French philosopher Paul Ricoeur, for whom Macron worked as a research assistant for two years. Dosse recently published a book about Macron and Ricoeur titled Le Philosophe et le President. A few weeks ago, I met with him in his Paris apartment to discuss his latest work, and he explained Macron’s approach to European reform as a combination of two fundamental Ricoeurian concepts. The first is “consensus dissensuel.” This may sound like a highfalutin version of “having one’s cake and eating it.” But, according to Dosse, it is really about drawing strength from the opposition between two conflicting viewpoints, unlike a Hegelian approach, which seeks synthesis between two poles. Macron’s embrace of the Ricoeurian model is evident in his frequent use of the phrase “en même temps” (“at the same time”) when describing parallel domestic-reform proposals. Similarly, Macron’s vision for Europe seems to reconcile the irreconcilable: his plan is both to preserve member states’ sovereignty and deepen EU integration. Institutionally, this means supporting supranational bodies while also allowing for more flexibility in areas where national governments, rather than Brussels, are better positioned to solve problems. 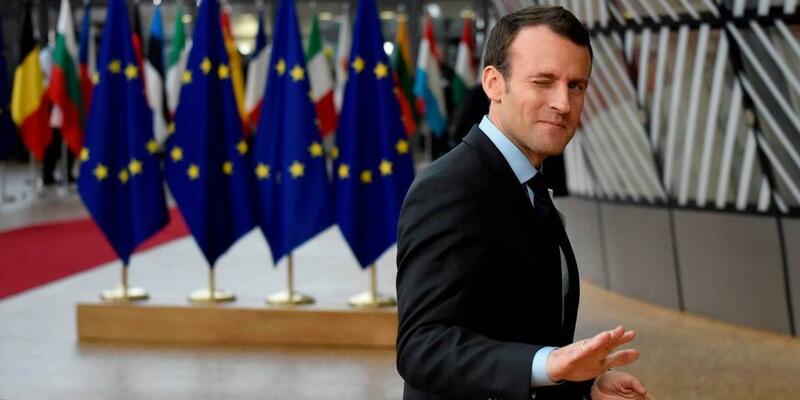 On defense policy, Macron wants to work within existing EU treaties, and he supports proposals for a Permanent Structured Cooperation (PESCO) agreement and a European Defense Fund. But he also hopes to move beyond the current EU and even NATO frameworks to establish a European Intervention Initiative (EII), which would operate alongside British, US, and other allied expeditionary forces. On migration, Macron wants both to secure Europe’s external borders and ensure that the burden of taking in refugees is shared across the EU. In the short term, he is pushing for an agreement among member states on refugee quotas. But, in the long run, he supports greater harmonization of asylum systems, or even the creation of a central EU asylum agency. Macron also hopes to reconcile opposite ideas with respect to the euro. While pushing for reforms within France that will reduce the risks of financial contagion, he is also calling for a common eurozone budget and finance ministry to make the monetary union more resilient to future shocks. Beyond these areas, Macron wants to boost innovation in the digital sphere, by establishing a European version of the United States’ Defense Advanced Research Projects Agency (DARPA). At the same time, he wants to protect national sovereignty in the digital age through regulations and a common fiscal approach. The second Ricoeurian concept underpinning Macron’s worldview is the idea of a European “refoundation.” Whereas the first wave of European integration was largely limited to economics, Macron now wants to focus on politics and culture, starting with the European Parliament election next year. When Macron looks at the EU political stage, he sees stale cartel parties that are just as ripe for disruption as France’s mainstream parties were in 2017. For example, he has mocked the center-right European People’s Party (EPP), asking how any parliamentary group can call itself Christian Democratic when it includes the parties of former Italian Prime Minister Silvio Berlusconi and Hungarian Prime Minister Viktor Orbán. Macron also recognizes that the decline of the center left in Europe – along with the impending post-Brexit exodus of UK Labour Party MPs – has left a large void that needs to be filled. To that end, he has considered creating a Europe-wide “En Marche !” movement that could nominate its own Spitzenkandidat to the European Commission presidency. In fact, there has already been some talk of positioning European Commissioner for Competition Margrethe Vestager for that role. Initially, the Macronistes had planned to recruit defectors from other party groups, and then ally with the left-leaning Alliance of Liberals and Democrats for Europe. But the creation of a European En Marche ! could mean that they will try to edge out the ALDE, too. At any rate, German Chancellor Angela Merkel will insist on a conservative candidate for the Commission presidency, so Macron might try to use that as a bargaining chip for concessions on other issues. Much remains to be seen, but it is already clear that Macron has brought a new kind of thinking to European politics. In his view, sovereignty in Europe can really be exercised only at the level of the EU. He is taking France from the Fifth Republic to a Sixth Republic that is no longer strictly franco-francaise, but truly European.